[無料] AdBlock for Safari | Mac App Storeのアプリ検索・ランキング BuzzMac! 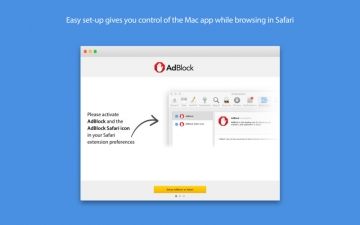 AdBlock for Safari s a powerful and simple-to-use ad blocker. It stops annoying pop-ups, removes autoplay video ads and blocks obnoxious audio ads. It also gives you control over which ads you see and what websites you support. 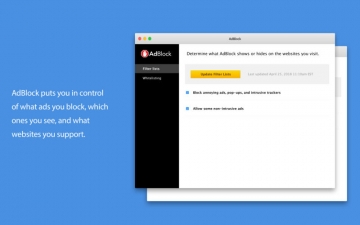 You can tell AdBlock to stop working on certain websites, “whitelist” sites you want to support, and get easy access to a comprehensive library of customer support information to help you get the most out of your AdBlock app. 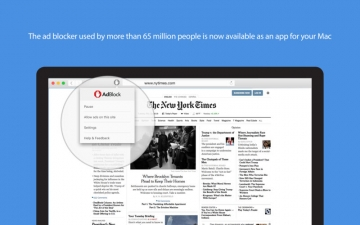 AdBlock helps websites load faster in Safari and protects you from malware lurking inside ads on malicious websites. It’s easy to install and free to use. Give it a try! We value your feedback and look forward to making the AdBlock Mac app the best ad blocker in Apple’s app store. Please comment in the App Store or visit us at help.getadblock.com for assistance.